Frame adopts advanced automatic processing technology with strong corrosion resistance.Galvanizing layer is 275/�O. Special push-pull shutter mechanism can open and close shutter automatically.Push-pull structure is more flexible and durable,which is a great innovation with significant milestone. 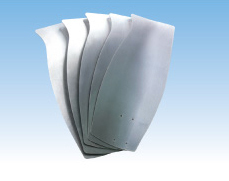 Aluminum alloy blade uses a stamping molding process,possessing beautiful,durable,high-precision balance testing revision characteristics,avoiding being deformed and cracked,working smoothly,reducing the noise and effectively improving the service life. V-belt is made of high-strength and light-weight aluminum magnesium alloy,formed by heat press processing. A-belt or B-belt,can be customized according to the sales condition of agents to meet different customers’ needs. 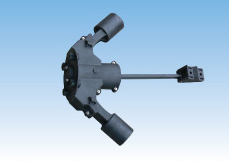 Equipped with efficient and energy-saving motor with CCC certification.Protection level:IP55.Insulation level:F.
Guide rod-embedded steel is installed on the impeller,enhancing the reliability, and effectively avoid shift during the process of nylon production. 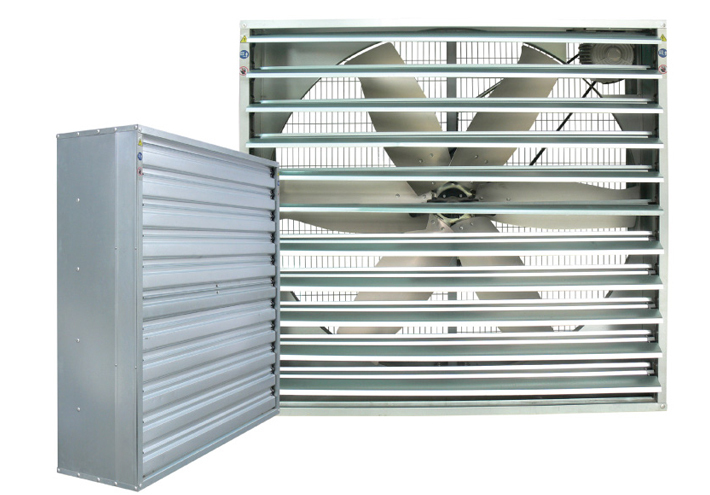 Push-pull type fan wind device made in 1.0mm no spangles galvanized sheet,can produce 910#，270#products,it also can be customized according to user needs. Fan protecting wire net made by various kinds of the diameter of hard-drawn wire(also can use requirements material according to user),surface processing uses electrostatic powder painting or galvanized.The surface color can be made according to the customers'requst. One-step forming process,strong and reliable,and ensures the service life. Made from die-casting molding high strength aluminum and magnesium alloy qualitative light,and intensity tall. Blade is made of Aluminum alloy.Professional designed blade Angle.,air quantity keep consistent in the fan using process through dynamic balance test.